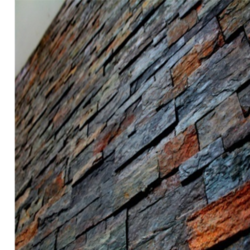 Offering you a complete choice of products which include 3d rustic wall stone cladding and rustic stone wall cladding. 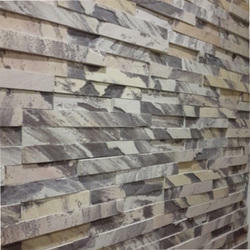 Size Upto 6" X 24"
With very long years of experience and conformity in this realm, we are actively engaged in offering best and perfect quality assortments of 3D Rustic Wall Stone Cladding. These Wall Cladding are used for resistance against changing weather, wind driven rains, air and solar radiation and so on. Our clients can avail these stones at competent market price. We are the most trusted organization engaged in offering wide range of Rustic Stone Wall Cladding to our esteemed clients. Stone Cladding is sometimes done on concrete and steel buildings to enhance their architectural design. Our offered services are acknowledged for their quality, reliability, and timeliness. Therefore these are highly demanded in the market.